My Great Uncle, Peter, kindly gifted me a new flash unit as a Christmas present. Despite being desperate to use it, we have been so busy with fieldwork and house renovations that now, several months later, I have only just managed to have my first real play. Some time toward the end of 2017, an animation of a jumping spider took the internet by storm. The spider is called Lucas, and the creator of this animation is Joshua Slice. Slice asked his nephew (also called Lucas) to voice the spider. There are several shorts out on YouTube which we have linked to below. Some have said that this animation may just cure a person of arachnophobia! 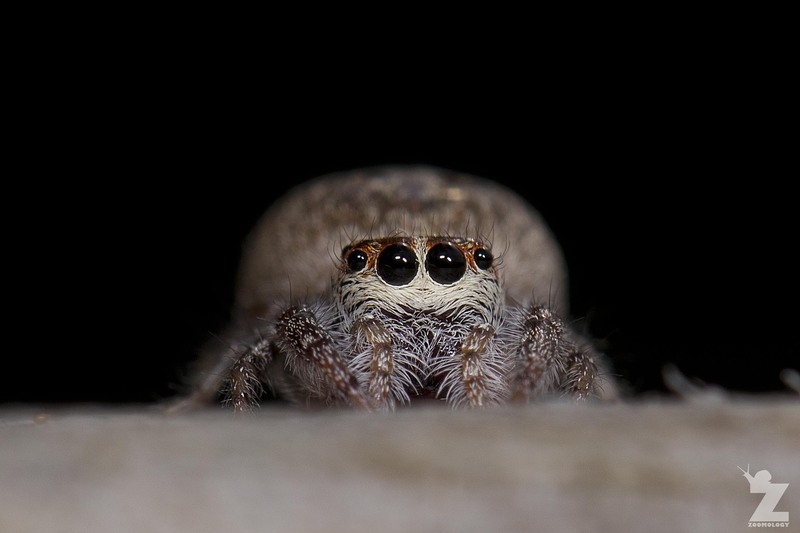 Lucas is most definitely based on a jumping spider with their furry bodies, large eyes and relatively short legs (compared to some other spiders). If you check out some of the videos, or have already met Lucas then you’ll see that some of his features may have been exaggerated, presumabley increasing his cute-factor to maximum. Check out our polkadot jumper (left) compared with Lucas (right). Pretty cute, huh? It’s great seeing some positive media out on the internet about our many-legged friends. If you know of any other cool critters with websites or YouTube channels, definitely share them with all of us! To be honest folks I’m not a great fan of spiders, that said this one seems quite err ‘cute’ great photography. Haha, glad this wee one could win you over, Brian! 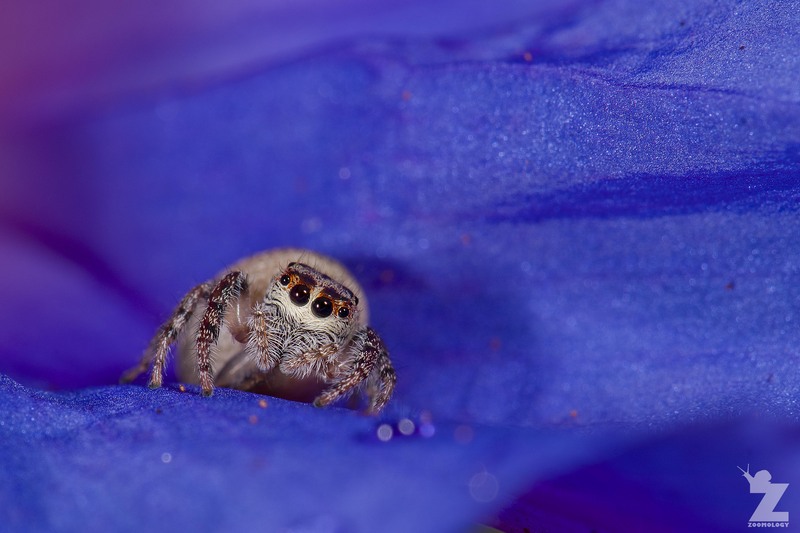 I love jumping spiders. We have a lot of zebra jumpers here and they’re just adorable. I love it! Brilliant pics and the videos about Lucas made me laughed! Thank you, Simone! Lucas had us in stitches, too. 😀 I hope they make more Lucas videos! I love jumping spiders. I nearly caught an iridescent one once…but it escaped! I heard those are rare and I’m disappointed. 😦 Lucas is very cute and I love the idea! Adorable!! And amazing blue stage!! ?